As part of Women’s History Month, we’re looking at how our programs are helping to close Wikipedia’s gender gap. So far, we’ve featured work by students in our Classroom Program, who have improved Wikipedia’s coverage of women directors, women in STEM, women in academia, and more. File:Rosie Stephenson-Goodknight.jpg, VGrigas (WMF), CC BY-SA 3.0, via Wikimedia Commons. This week, we’re profiling Rosie Stephenson-Goodknight, a prolific Wikipedian and a participant in our Visiting Scholars program, a program in which Wikipedians receive access to academic sources they wouldn’t otherwise be able to use. 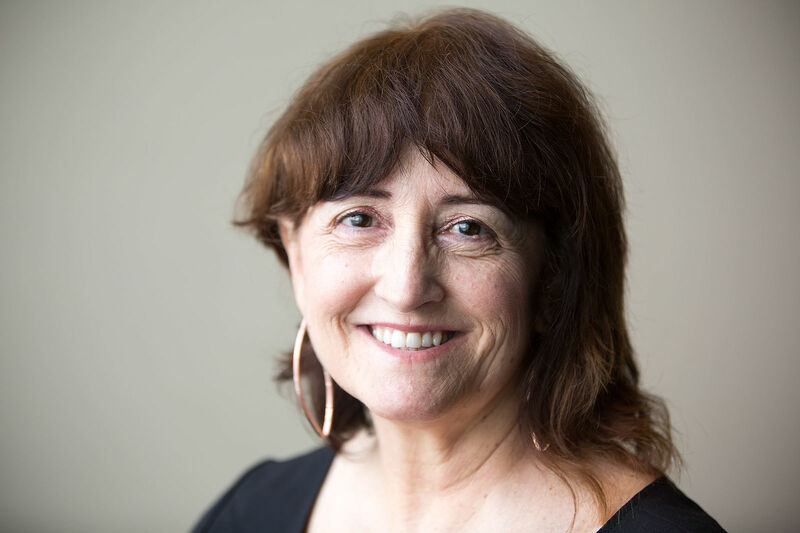 During her years as a Wikipedian, Rosie has created and improved thousands of articles and has uploaded hundreds of images to Wikimedia Commons. She has also co-founded projects like Women in Red, an on-Wikipedia group dedicated to increasing the site’s coverage of women and women’s history, and the Teahouse, a project to welcome newbies into the editing community. In 2016, she was named Wikipedian of the Year, along with Emily Temple-Wood, for her efforts to improve the world’s most popular online encyclopedic resource. When Rosie joined our Visiting Scholars program, she gained access to a number of new sources through Northeastern University. This new access to previously restricted materials “adds another dimension” to Rosie’s workflow, she tells us in an interview about what she’s accomplished through the position. Rosie has already made impressive progress since March of last year, as seen on the Dashboard. Through the position, Rosie is focusing on improving biographies of pre-20th century women writers in the English language (with the definition of “writer” broadly construed). At this point in her Visiting Scholars experience, Rosie has created 194 new articles on Wikipedia, most of which are biographies of these pre-20th century women, and has added nearly 500,000 words. She estimates that in all of her time as a Wikipedian, she has created hundreds of biography articles of women. So what motivates Rosie to dedicate valuable time and energy to improving this resource that we all use? As Rosie explains, it all starts with one woman: her maternal grandmother, a textbook editor in Serbia and co-founder and president of the Yugoslav Association of University Women. She wrote for a living and published a number of monographs, essays, translations, and books throughout her life. In a similar vein, Rosie’s mother was a poet who earned a bachelor’s degree in English literature from Barnard and spent time in Columbia’s journalism school. These women writers had a significant impact on Rosie and their stories have been an impetus for her journey into public scholarship. Eunice Eloisae Gibbs Allyn, who has a biography article on Wikipedia thanks to Rosie. File:Eunice Eloisae Gibbs Allyn.png, public domain, via Wikimedia Commons. “Many of the women, their lives are important to me,” Rosie tells us. Eunice Eloisae Gibbs Allyn is another example; she was forced to write under a pen name (as were many women writers of this time) because her brother didn’t want to have a “bluestocking” in the family. By representing the lives and accomplishments of these women writers for Wikipedia’s worldwide audience, Rosie honors their names. While they were silenced in the past, we are not silent about them now. There is an element of leadership inherent in the active Wikipedian role. Wikipedia encourages volunteers to “Be bold!” in their editing. And the site’s open-source nature puts the responsibility of maintaining its quality on volunteers. Part of what makes Wikipedia one of the most successful crowd-sourced knowledge projects to date is the avid commitment of editors like Rosie. Wikipedians rally to uphold Wikipedia’s purpose of benefiting readers everywhere by being the most comprehensive and accessible encyclopedia ever written. We’re proud to support dedicated Wikipedia editors like Rosie through our Visiting Scholars program. We look forward to following the impact that Rosie continues to make on the valuable resource that is Wikipedia. File:Viva D. Cummins.png, Werner’s Magazine Company, public domain, via Wikimedia Commons. File:Laura Ormiston Chant.png, May Wright Sewall, public domain, via Wikimedia Commons. File:Ernestine Schaffner.png, Illustrated American Publishing Company, public domain, via Wikimedia Commons. File:Georgie Drew Barrymore (playing the role of Mrs. Hilary in “The Senator”).png, The Illustrated American, public domain, via Wikimedia Commons. File:Women fencers – attacking and parrying, second position in sword exercise.png, Illustrated American Pub. Co., public domain, via Wikimedia Commons. File:HannahWhitallSmith.png, Frances Elizabeth Willard, public domain, via Wikimedia Commons. File:Lizzie Stickney.png, Charles Spooner Forbes & Charles R. Cummings, CC BY-SA 4.0, via Wikimedia Commons. File:Julia Dorr.png, C. S. Forbes & C. R. Cummings, public domain, via Wikimedia Commons. File:Frances Montresor (1771).png, Charles S. Forbes, public domain, via Wikimedia Commons. 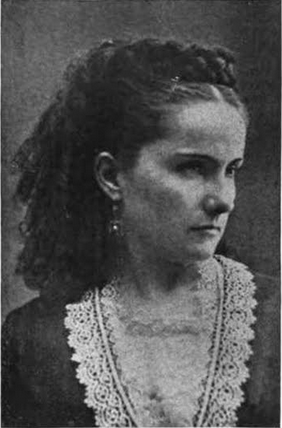 File:Mary Howe-Lavin – The Vermonter, Volume 2 1896.png, Charles S. Forbes, public domain, via Wikimedia Commons.